A Christmas Carol returns to kick off the holidays for Dallas Theater Center. 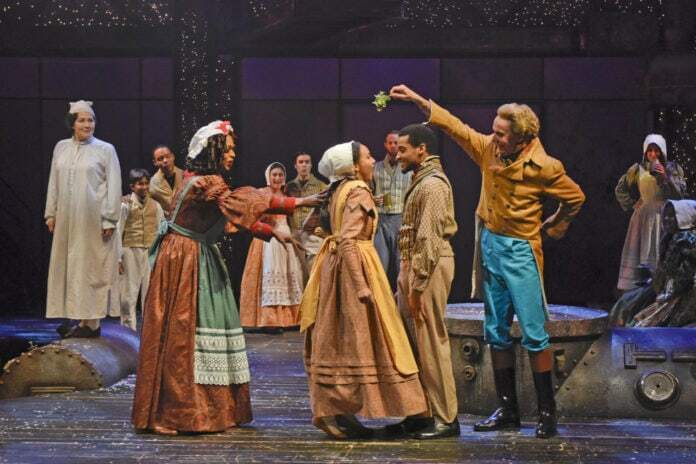 The holiday favorite will be onstage at the Wyly Theatre now through Dec. 28. This version of the beloved Dickens’ classic doesn’t feature the same old Scrooge. Scrooge is not the old guy you remember from countless movie, TV and stage productions. 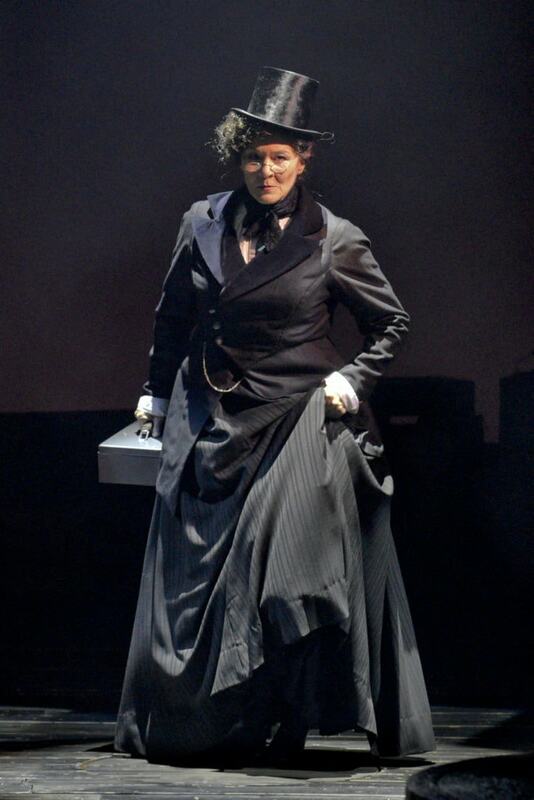 This time, Scrooge is a woman, played by veteran Dallas actress Sally Nuysten Vahle. While Vahle will be the first female to play the role of Scrooge for DTC, artistic director Kevin Moriarity has frequently used non-traditional casting for their productions. Moriarity adapted the script for the production from Dickens’ classic tale of hope and redemption in the midst of terrible poverty and injustice. Also featured in the A Christmas Carol cast are Brierley Resident Acting Company members Adam A. Anderson, Chamblee Ferguson, Tiana Kaye Johnson, Liz Mikel, and Alex Organ. Additional cast members include Cameron Cobb, Joseph Holt, Lydia Mackay, and Gabrielle Reyes. A number of SMU students have also been cast in the production. “A Christmas Carol” will take advantage of the Wyly Theatre’s flexible environment to place the audience in the center of the action. Tony Award winning set designer is Beowulf Boritt, with costume designer Jennifer Caprio and Tony Award winner Jeff Croiter as lighting designer. Broken Chord is sound designer, Valerie Gladstone wig designer, and Jeremy Allen Dumont is choreographer for the production. DTC is continuing the partnership with North Texas Food Bank (NTFB) for the ninth consecutive year. DTC will have drop off locations in the Wyly lobby, for patrons to donate canned goods to NTFB. Members of the cast will also collect monetary donations after every performance. Last year, DTC presented more than $138,000 to NTFB, providing more than 414,000 meals for those in need across North Texas. DTC’s Come Early sponsored by Wells Fargo will take place one hour before every performance and DTC’s Stay Late will take place after each performance. A Christmas Carol runs through Wednesday, Dec. 28 at the Wyly Theatre. Tickets are on sale now online or by phone at 214-880-0202.